The specialists in BMW dismantling, suppliers of genuine second hand BMW parts, running gear, panels & interiors. Locally owned and operated by Kerry, a qualified mechanic and self-confessed BMW enthusiast, Kerry is an expert when it comes to all things BMW. 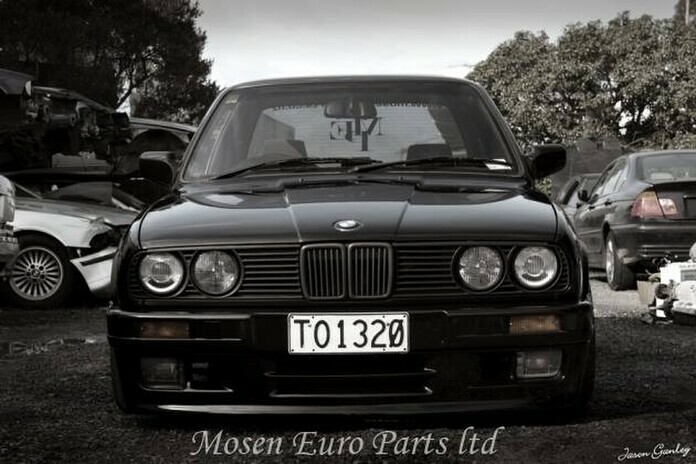 Mosen's exclusively dismantle and source authentic BMW parts and offer quality repairs and maintainence services as well as project cars, project builds and rebuilds. Mosen's can supply motors, transmissions, diffs, gearboxes suspension, panels, seats, interiors and more. Even better we can ship to you anywhere in NZ. Kerry has built up considerable knowledge and expertise over the years. Should you be hunting for a part, need reliable assistance with your prized BMW or want and need the skills and knowledge to produce the best project or race car possible then speak to Kerry.